Bre and Alex kept their 16-person bridal party a tight knit group of family and old school friends. 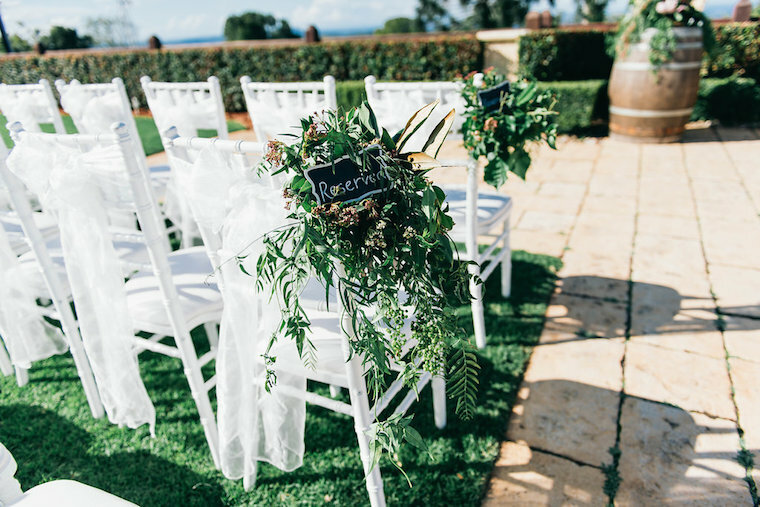 With the people closest to them standing by their side, they celebrated their union in a garden wedding at Sunshine Coast hinterland wedding venue, Flaxton Gardens. 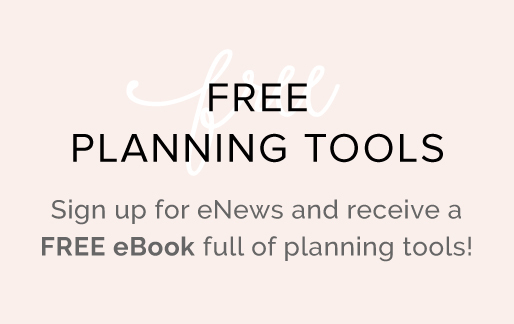 In a religious ceremony, led by another relative – the bride’s uncle and celebrant, Tom Heasley, they vowed to be together as one forever in front of their 200 guests. 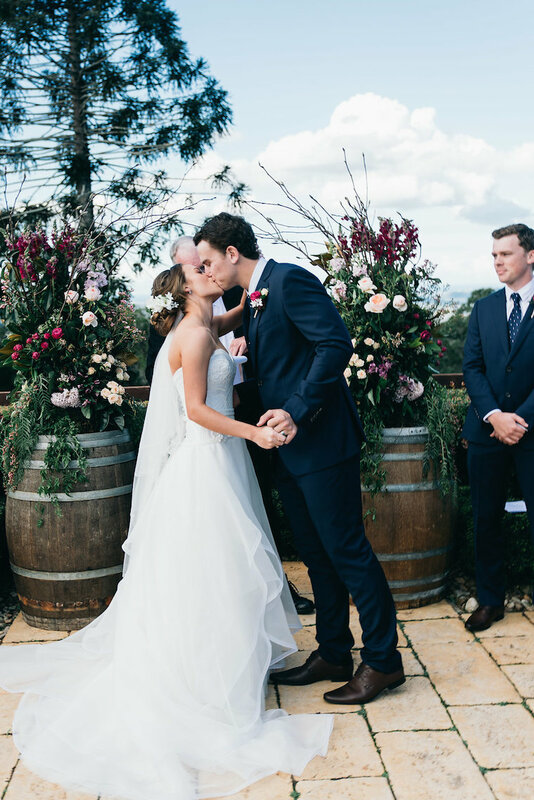 As one of the Sunshine Coast’s venues with the largest capacity, they were able to have a sit-down wedding reception in the winery venue’s famous Barrel Room. Bre says she wanted to keep the theme of the day simple, focusing on the floral arrangements by Willow Bud as the focal point of the ceremony and reception. 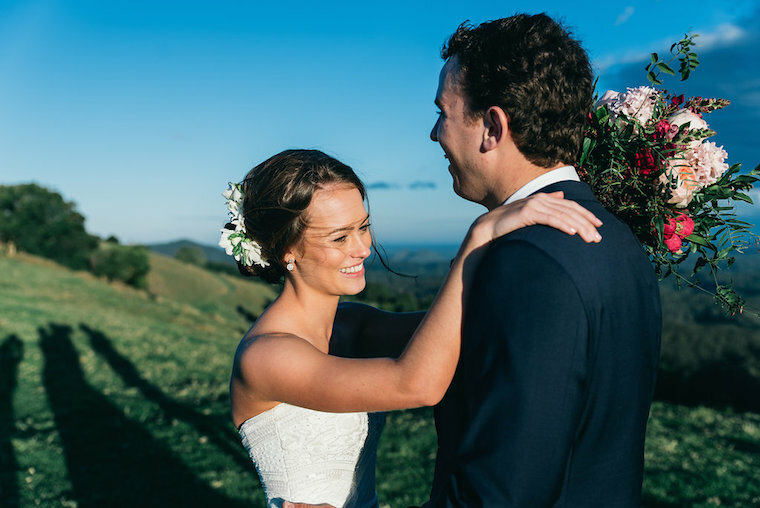 Before they danced the night away, the pair joined their bridal party and photographer fromFigtree Wedding Photography on a short tour of the hinterland. 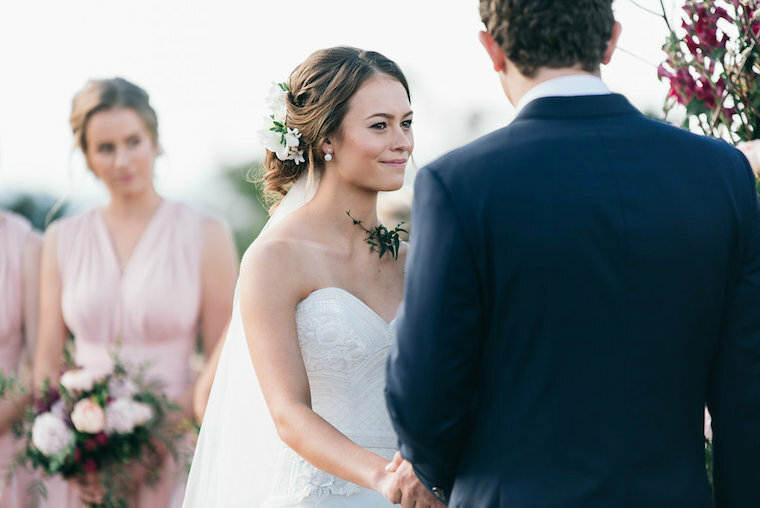 Their wedding photos are to-die-for, and of course include the coveted money shot at our iconic One Tree Hill. DIY: We made our own table numbers and decorated the menus with string and fresh rosemary as well as the children’s colouring books.